Pink Penguin: Bee = Fun! interesting. I didn't realize how fun a bee can be! four that I never used a seam ripper! Woohoo! but I am satisfied with it, and I hope Erica likes it! This was the first block I made for the bee. It was for Kerry and the theme was collection/hoarding. block I made for the bee. This is my favorite so far. which I blogged about recently. for Lucinda whose theme is Beginning of Spring. That sounds interesting too, doesn't it? shipped being delivered has always fascinated me too. I also LOVE receiving anything in the mail too. we both share the joy of receiving things in the mail. Your blocks are just beautiful! Your blocks are amazing - I loved looking at all of the piecing in them, truly stunning. I love all the blocks and the Union Jack is so cool, combining the official flag with cozy home life! I also love your theme for your month in the Bee and your inspirational mosaic! 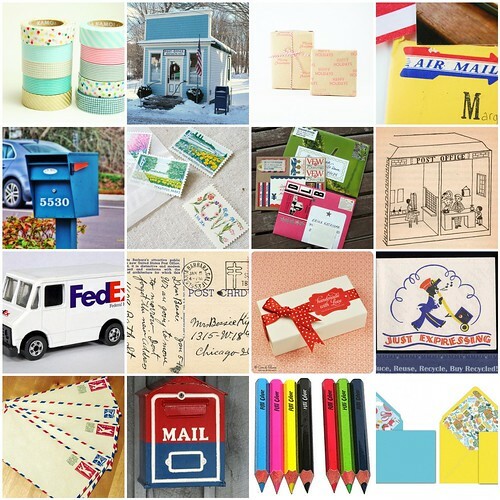 I'm also a big fan of letters & packages (both sending and receiving) and stationary & ephemera and all the things connected to it! 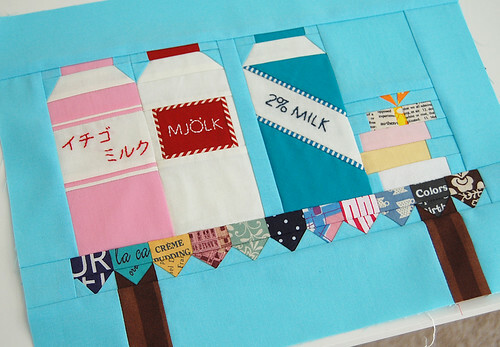 All blocks are beautiful but my favorite is Union Jack, I love the fabrics! As you know, I love love love your UJ block and I agree with what Kerry said about your style shining through your blocks - it's wonderful to see them all together like that and sit back and gasp at your talent!!! I love your blocks! 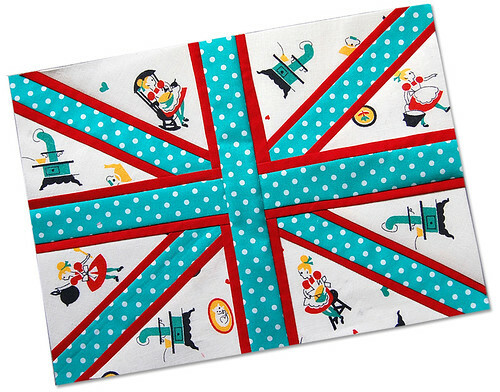 I also love Union Jacks at the moment - was it hard to make as I'd love to make a cushion cover? You are astonishing - so talented! I'm just startng out in quilting and I can only imagine being able to create something half as wonderful. The collecting block is my favourite - stunning! Adorable! I love the penguin popsickle. Your blocks are amazing - the detail is incredible! 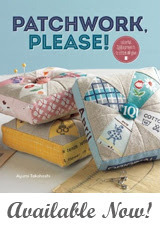 Can you recommend any good books or websites for learning more about paper piecing? I'm excited to try and learn but not sure where to start! Wow!! I would love to "bee" in a "bee" with you! Your work is amazing!!! love the union jack, I better get to working on mine. 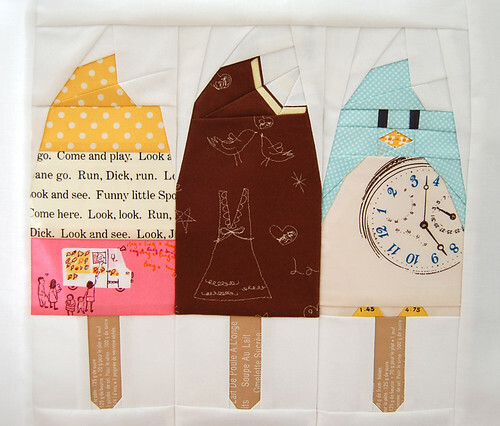 and of course I love my popsicles, so lucky that they're mine! :) can't wait for your month ayumi, so cool. I love seeing your wonderful projects - you are so talented and creative! 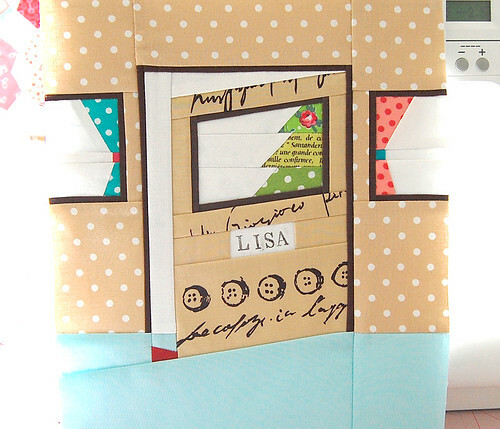 Thank you so much for sharing those amazing pictures,tutorials.........Love your blog,too. 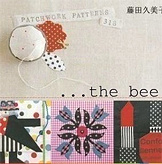 All of your blocks are incredible Ayumi and I'm trying very hard not to be a big crybaby and feel sorry for myself that I'm not in this incredible bee with you and Lynne!!! Your inspiration mosaic is so much fun. I can't wait to see what your fabulous beemates make for you. Your stuff always makes me wish we could sew together. LOVE LOVE your fabric you used in the union jack block. I'm making my own nationality flag this year. You've inspired me to use some of my vintage kitchen fabrics in it! I hadn't thought of that before. Thanks for being you. I got my fabric!!! I'm going to blog about it tomorrow. Thanks so much. I just found you today while looking for placemats to make for a wedding gift. You are so talented, I love your choice of fabric in every project!! Your work is amazing. Where do you get the tags you put on your things? Do you make those? I can't wait to see what your working on next. I am a new follower and I love the pieced blocks you have made. The ice cream bars are my favorite. What are the rules of the bee starting in may? You have a very interesting blog!, and some very nice tutorials, thanks for sharing. 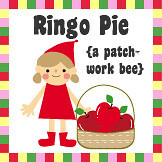 your Ringo Pie blocks are all drop dead amazing! i just tried my first paper pieced block and i'm astounded at how challenging it is. thank you for the inspiration. I really like your union jack block, Lynne's tutorial makes them look so easy! I really need to make one someday. I can't wait to see what May brings! Your stitching is so neat, and your choice of fabrics is brilliant. The penguin ice lolly is so cute - but how could one bite his head off! Your piecing is always so crisp and accurate. Read the article, more immersive the environment! Shoot, who would have thugoht that it was that easy?